I enjoyed this book and whipped through it pretty quickly. I would rate it at about 7.5/10 only because whilst the story and subject matter are interesting and the plot intriguing, the characters are a little hollow for me and at first, because there are so many of them, I found the story a little confusing - it took me a while to be able to picture all the cast of characters and their relationship to each other. That said, it is an enjoyable read and allows for several hours insight into the world of birds, bird people and bird dealing. Very interesting and easy to read. What if there was a way to produce enough electricity for the whole world for the next 10,000 years without the need to produce toxic radioactive by-products and carbon dioxide (as is the case with fossil fuels used in nuclear fission)? This possibility is right at the heart of this mystery and when the secret is about to be published, a lot of people find themselves with a lot to lose and will do anything to keep the truth from being told. This book is totally brilliant, humourous, witty and about a really interesting topic. It is the third book in The Dakota Stevens Mysteries Series. The characters are really likeable and I think I am a little bit in love with Dakota Stevens now! It is a fast paced story which unfolds to reveal a truth which is, in fact, not of science fiction but a proven fact. That in itself lead me to ask the question, why is this possibility not being taken as seriously as perhaps it should be? Although this is the third book, the fact that I had not read the other two previously did not really detract from the story but I got the sense that it would have been slightly more interesting if I had read them first and understood the relationship between Dakota and his beautiful assistant, Svetlana Krush, a little better. However, it was still a great story and the characters came to life really quickly. The other two Dakota Stevens books are now on my watch list and they will be winging their way to me very soon. I can't wait to read them! If you like a good mystery filled with intrigue and enjoy tracking down the truth along with the characters in a story, then this is the book for you. 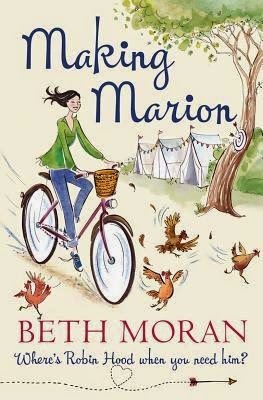 Making Marion is the story of Marion who, when we first meet her, has just arrived at a campsite near Sherwood Forest to ask for directions. Marion has spent most of her life wondering about her father who she never met. The only clue she has is from a photo of him as a young man, dressed up as Robin Hood, posing in front of a great big tree in Sherwood Forest. So when Marion has yet another altercation with her mother, who only has negative things to say about her father, she decides to get away and head to Sherwood Forest, determined to find out more about her father. As it turns out, she ends up working at the campsite and during this time, she finds out a lot more about herself than she ever realised. As the story of her father's past unfolds, she really comes into her own and for the first time, begins to know who she is and where she is heading in her life. This book is really enjoyable. I loved the idea of a place where many disenfranchised people are employed by the wonderful Scarlett, owner and manager of Peace and Pigs Campsite. I am sure there is a potential series of tales about this place and the amazing Scarlett. If you want a cosy read filled with likeable characters and a hint of mystery, this is the book for you. What a start to my new year reading list! 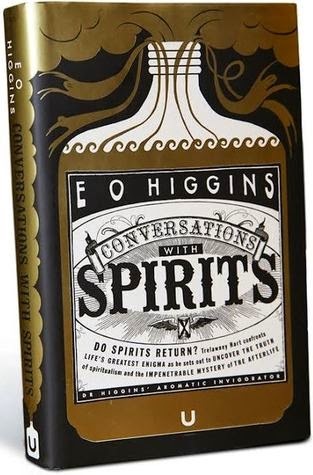 Conversations with Spirits is the debut novel of E O Higgins and it is an absolute hoot! Set in 1917 England and at the behest of Sir Arthur Conan Doyle, Trelawney Hart, the hard-drinking, chain-smoking anti-hero, starts out on a journey to uncover the truth behind recent stories of a medium who is gaining a strong reputation as a genuine psychic. Hart is a sceptic and believes in logic and materialism, so the thought of uncovering a fraud is intriguing to him. As he progresses, however, he finds his beliefs challenged and his logic failing to assist him. Along with his side-kick, Billy, he finds himself on a rollicking adventure that leads him to question his truth. This book is completely absorbing and one of the few I have read recently that I wanted to devour in one bite and savour at the same time, so it didn't end too quickly. It is so entertaining and the characters are such great company, that I wanted to share more adventures with them. As a result, I dropped a note to Mr Higgins who assures me he is hard at work on another Trelawney Hart adventure, which is wonderful news! Another thing that is completely brilliant about this book is that it came to be published through crowd-funding via Unbound.co.uk. For those of you who haven't heard of Unbound before, it is an online platform which allows authors to pitch their book idea and readers to support the idea by making various size donations. When the book reaches it's target, it gets published and the reader/donator gets various benefits, including copies of the book and many other things. This platform enables authors to bring books to the public that they may struggle to get published commercially, especially if they are working on a debut novel and do not have back list to support them. How fabulous is that! For more information take a look at www.unbound.co.uk. As for Conversations with Spirits, I loved the book, cannot wait for the next yarn and am so delighted to have found this author. (Thank you to my lovely sister, Samantha, who sent me this book for Christmas and told me about Unbound). Labels: Conversations with Spirits, E O Higgins, London, mystery, Trelawney Hart. 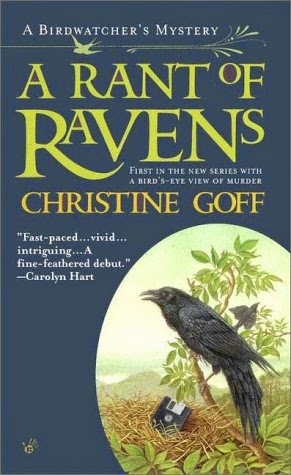 This is the third book in Suzy Duffy's New England series and to my mind is the best so far. I really enjoyed the first of the series, Wellesley Wives, and found it hilarious and at times even laugh out loud funny. Lincoln Ladies was a more enjoyable read for me, though, because it is a heart-warming story about love, friendship and the often challenging phases of parenting, particularly when dealing with the empty-nest syndrome and struggling through single mother challenges. Whilst it is a tale full of humour and the dialogue is believable, I felt the subject matter was a little less frivolous than the previous books in this series as Suzy Duffy tackles some serious issues with humour and wit. It is a feel good book with lovely characters and a couple of love interests to swoon over. So if you are looking for some good old fashioned romance and a story to make you smile, I would strongly recommend you pick up Lincoln Ladies and read it. 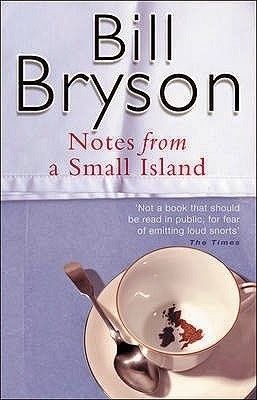 Notes from a Small Island is Bill Bryson's account of travelling around the UK for a couple of months in the early 1990's, just before he returned to live in the US after living in the UK for 20 years. He wanted to recall all those things that had made the country special to him during that time and to take stock of the public and private faces of the people who lived there. Beginning with a retrospective look at Bryson's first trip to the UK, 20 years earlier, his recollection of arriving in Dover offers such an interesting perspective of a time and a place which no longer exists now and nor did it, even in the 1990's. When his new sojourn begins his observations of Britishness and the things that make the place unusual, are crisp, clear, precise, amusing and cleverly insightful. He draws a picture of those things that we, as Brit's, so often overlook and take for granted, things that make us uniquely us. I first read this book a few of years after it was originally published in 1995 and loved it, especially as I was living away from the UK at the time. It was a delightful read and had me laughing-out-load in places. Revisiting it again, over fifteen years later, was no less entertaining. This travelogue offers a rare insight into a country and it's people in time. It provides wonderfully clear and expansive descriptions of it's various places. It is an entertaining and humorous account and a joy to read. Even though the years may have rolled on it is clear that some things just don't change. Notes from a Small Island really is a timeless read. Gretchen Birch receives a frantic phone call in the early hours of the morning from her aunt in Arizona. She is told that her mother, Caroline, has gone missing and one of the neighbours has been found dead on the hill behind her mother's house. Thinking that her aunt Nina's tendency to exaggerate and be dramatic might be at the bottom of this "crisis" she heads to Arizona anyway, to find out why her aunt is so worried. When she gets to her mother's house, Gretchen soon realises something is really wrong, especially when she finds that the only thing missing out of all of Caroline's personal belongings appears to be her car - even her toothbrush is still in the bathroom! What follows is a race to find out what really happened to the neighbour, Martha, who police now believe was murdered and as Caroline has become the chief suspect due to what appears to be an incriminating note found in Martha's hand, time is running out. This story is really interesting in many ways. It takes the reader on a journey into the world of the doll trade and provides some great insight into the restoration, buying, selling and collecting of antique dolls of all kinds. The murder victim was obsessed with dolls which were like children to her. She once had a extensive and highly valuable collection, but, due to her inability to stop buying more and more expensive pieces, she got in trouble with the bank and lost her home, her collection and ultimately became an alcoholic vagrant living on the streets with other people down on their luck. In spite of the story being quite suspenseful and there being several possible suspects, it lost a little of it's appeal to me because of the numerous spelling and grammar mistakes throughout. The story would have really benefitted from another edit. 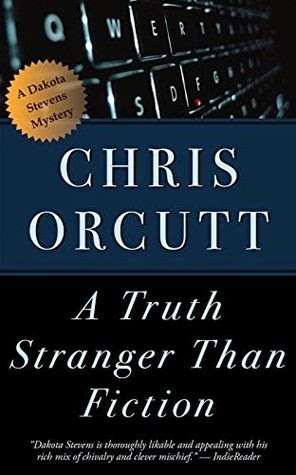 As far as the quality of the mystery goes, I had the culprit figured out about 60% of the way through but it was an interesting read, none-the-less. 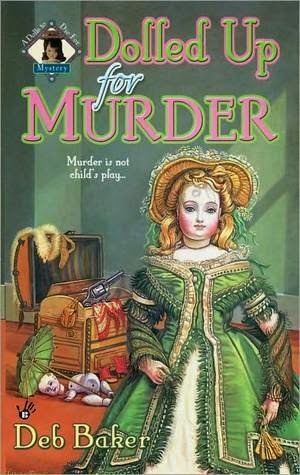 If you like a fairly decent murder mystery and are interested or would like to know more about the world of dolls, then this is the book for you. The Kim-stillreading blog is book review blog. I read what appeals to me and that's not always the most recently published books. When I land on a book that looks interesting or when I discover a new author, I have been known to buy all their backlist! So, you may find a mixture of books being reviewed on the blog; those that are about to be published; those recently published; those published ages ago and classics! For the You Couldn't Make This Up! blog, it all started with a challenge from a friend who asked me to write for six consecutive days about things I am grateful for. I did that and soon realised there were many more than six things to write about and so I decided to continue the list on this blog. Feel free to tag along with me on my journey as I read and write my way through each day.